His power: None, but he has a brilliant scientific mind. His story: Living in a world intensely divided by political ideology, Bolivar Trask wants to save humanity by uniting all nations of the world against a common threat: extinction. Trask’s understanding of evolution has him concerned about what the rise of mutants means for the human race, and while he says that he has a deep respect for mutants, that doesn’t stop him from having them killed and dissected. Trask is responsible for the creation of the Sentinels in X-Men: Days Of Future Past, and his mutant-hunting machines send the world plunging into dystopia within 50 years. In the original timeline, the U.S. government keeps the Sentinel program alive, because Mystique kills Trask in 1973, but when the X-Men of the future send Wolverine into the past, Trask’s death and the subsequent mutant holocaust are successfully averted. Trask is arrested and put in the prison that previously held Magneto, and it’s unlikely that he has any mutant friends willing to save him like the cell’s previous inhabitant. Currently, Bolivar Trask is: Underneath the Pentagon, thinking about his bad decision in a glass cell. Where will we see him next? 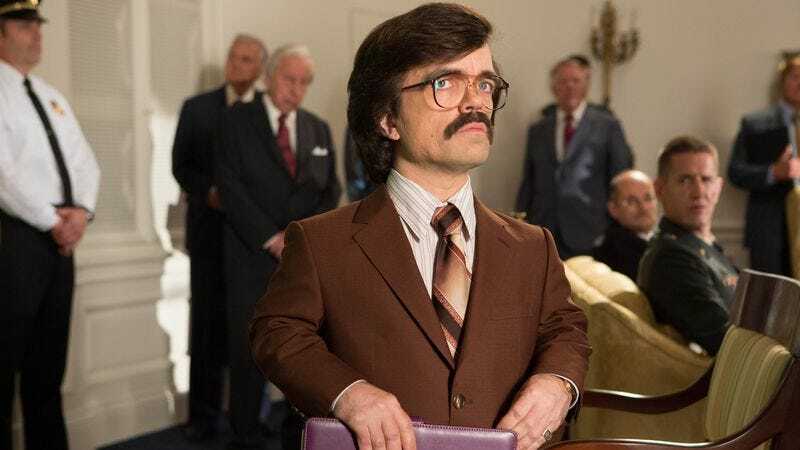 There are no planned appearances for Bolivar Trask, but that can easily change, especially if Peter Dinklage needs something to do when Game Of Thrones wraps production in a couple years.